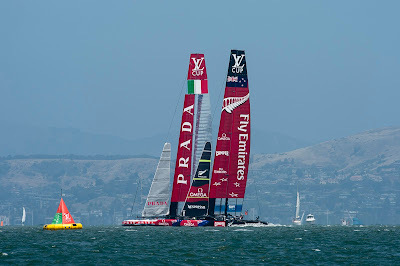 Emirates Team New Zealand defeated Luna Rossa today in the first real race of the 2013 Louis Vuitton Cup challenger series. 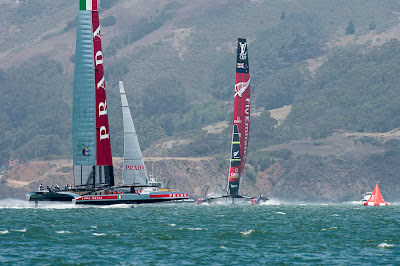 Three previous races in Round Robin 1 were sailed without opponents on the course. It was a comprehensive win. Emirates Team New Zealand put on a flawless display of boat handling in the breeze that peaked at just under 20 knots.The pressure was on today. Emirates Team New Zealand won the start, denying the Italians the leeward position as Dean Barker started fast, crossing the line at over 30 knots. At the first mark, Barker and crew were five seconds ahead. At the finish the advantage to New Zealand was 5:23. 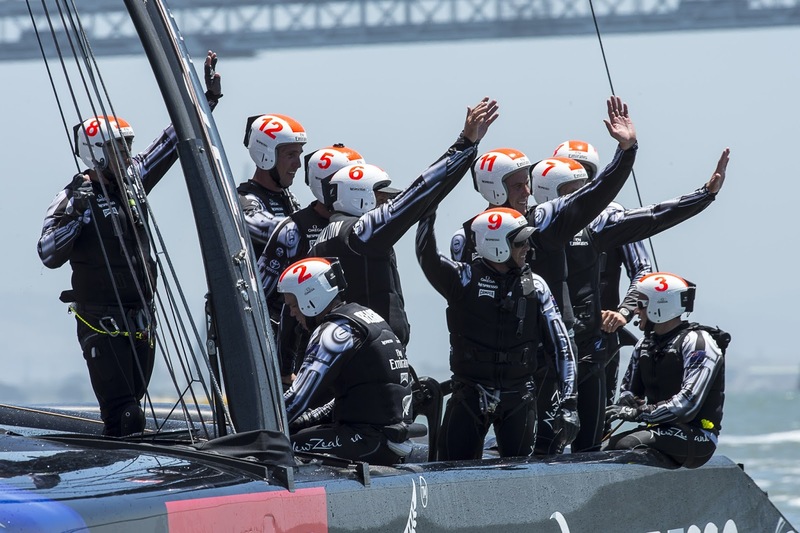 The fans were treated to a magnificent display by both AC72s with a hint of bigger things to come. 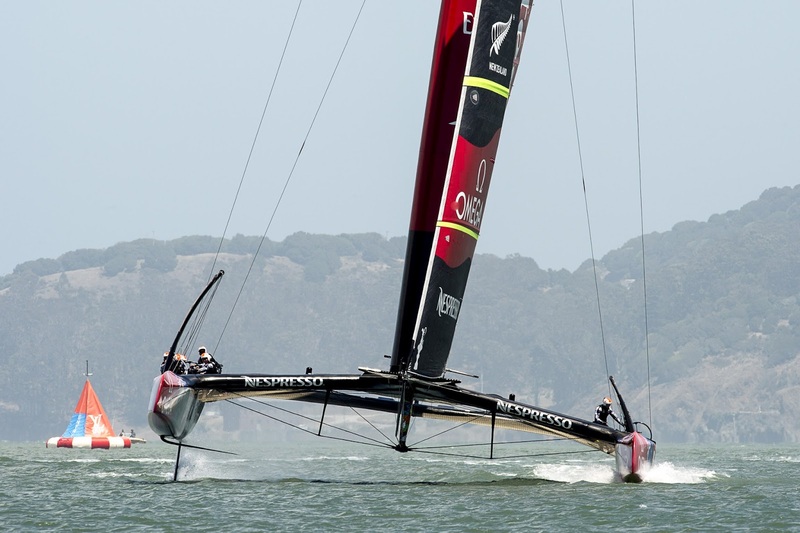 It was the first time the AC72s have raced on an America’s Cup course with a point at stake. There were lessons to be learnt and one of the main ones would apply to any match race in any class of yacht on any race course. Get a good start. 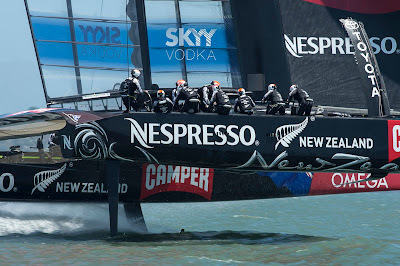 Dean Barker and the crew nailed the start today, crossing the line ahead and at speed. They rounded the first mark ahead by only five seconds and extended on the run to the bottom mark. There was a big tide today. 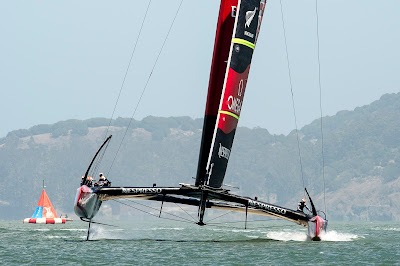 In the conditions, the San Francisco Bay course has few passing options for the following boat even if they are faster. Great crew work can win races. 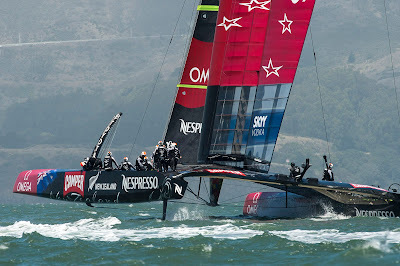 The boys sailed superbly today in the first contested race of the Louis Vuitton Cup. 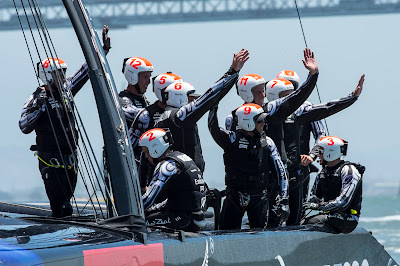 Wing trimmer Glenn Ashby said they felt that today they sailed the AC72 better than they ever had before. “Everyone knew their job and they just clicked into it straight away. It was a good encounter. We are further ahead on the development curve. 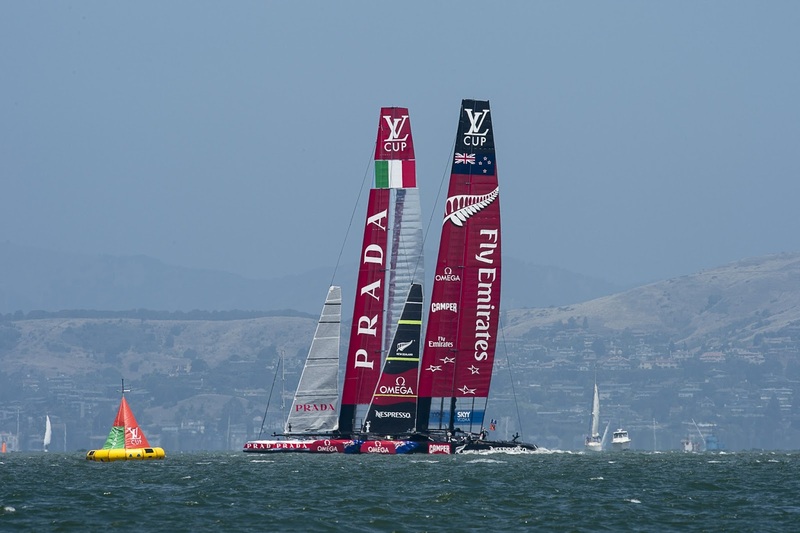 Luna Rossa’s target has always been to peak in the Louis Vuitton Cup finals. We will have to keep on getting better,” Grant Dalton said. 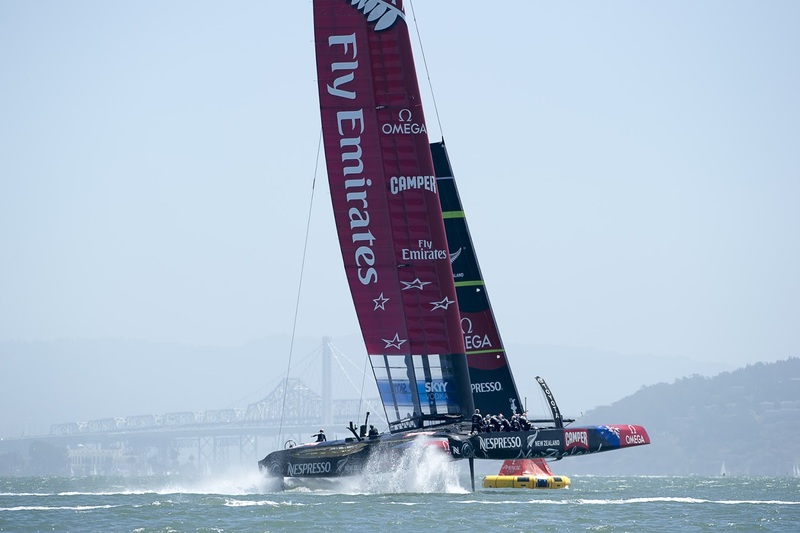 No one on Emirates Team New Zealand thinks it is an easy road ahead. Tomorrow's race is between Artemis and Emirates Team New Zealand. Artemis will not be starting.